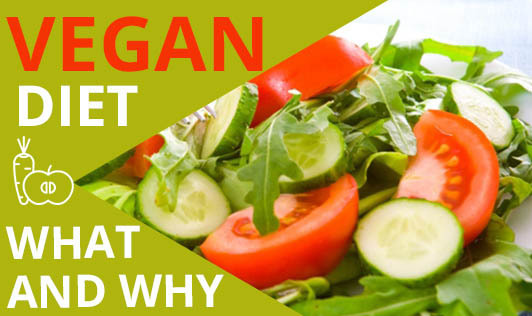 A Vegan Diet is one that does not include any animal foods. In other words, there's no mutton, pork, chicken, fish, egg and dairy foods. Only plant foods - grains, vegetables, fruits, nuts, oilseeds, spices, plant oils, etc are eaten. Most often the vegan lifestyle is followed for health or ethical or moral or spiritual or environmental conviction. Though there are many debates surrounding vegan diets, leading nutrition scientists and medical researchers have supported this type of diet. Studies have also shown that many lifestyle diseases can be prevented or controlled with a vegan diet. However, vegan diet followers might show some nutritional deficiencies if their diets are not well planned. Since vitamin B12 is lacking in a vegan diet, supplements of B12 will be required. All other nutrients can be sufficiently met in a balanced vegan diet.